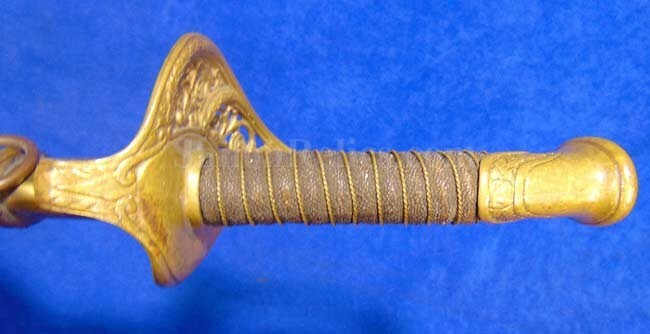 This is a very attractive Civil War era officer sword. This is the pattern of Civil War era foot officer's that was utilized by the lower ranking officers. It has the full-length blade that measures 29-3/8ths inches in overall size. 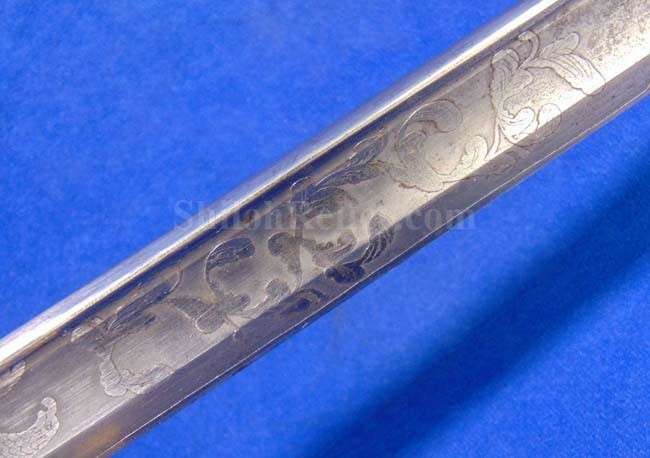 The blade has the beautiful original etching on each side. 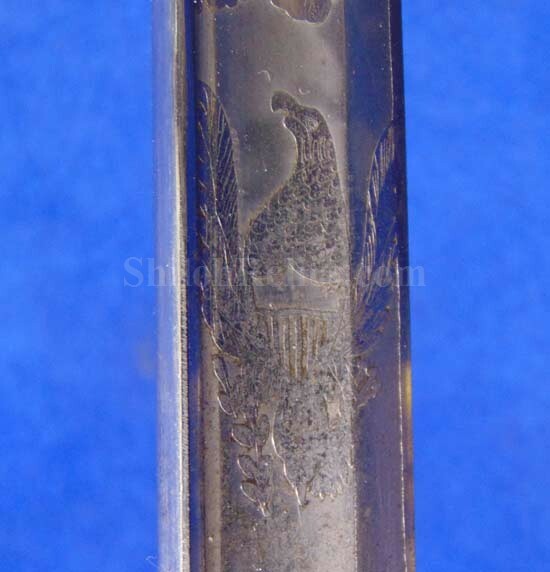 The front of the blade has the large Union eagle design in the center. On the back of the blade it has the large panoply of arms in the center. It has exceptional detail work to the etching that displays superbly. 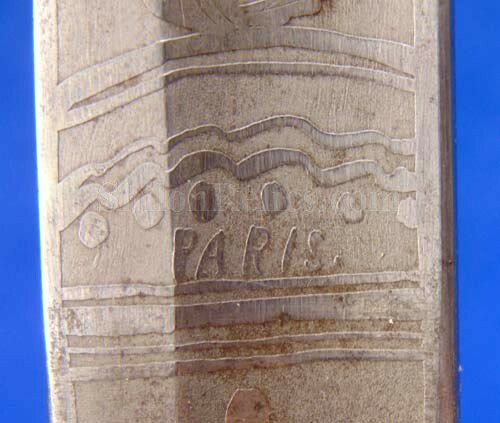 The blade has no maker marking but has the simple word "PARIS" on the back base etching. 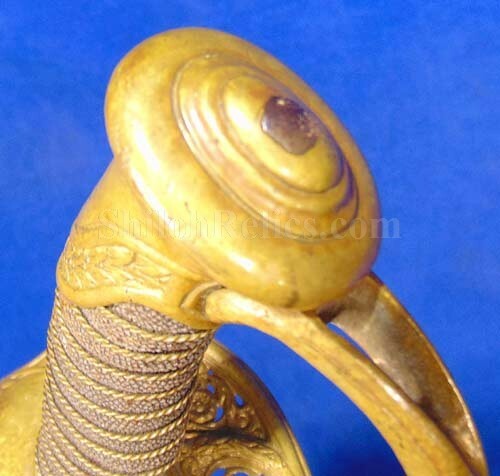 The handguard and pommel cap are each made of brass and they have a beautiful untouched golden color all over. It still retains some of the original gold gilding in the protected areas. The handguard has the floral pattern that lets us know it was designed for the foot officers. 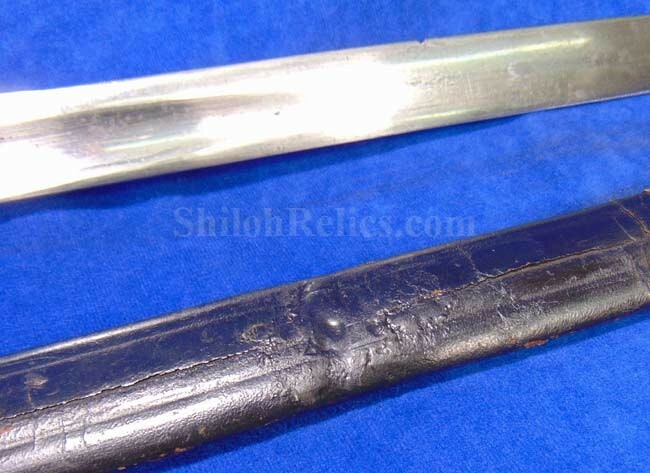 The original handle of the sword is intact. 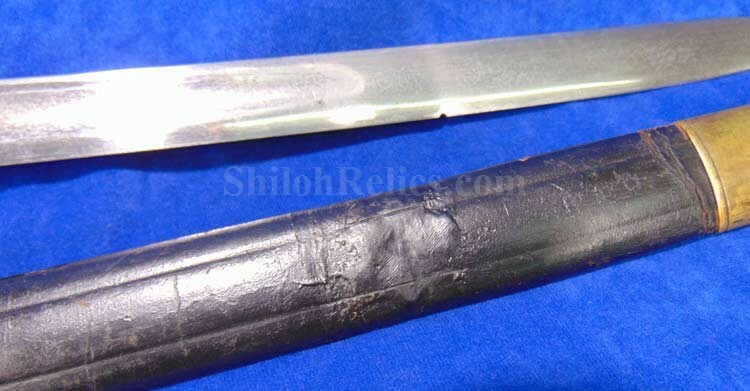 The sword has the wooden core with the sharkskin grip over the top. 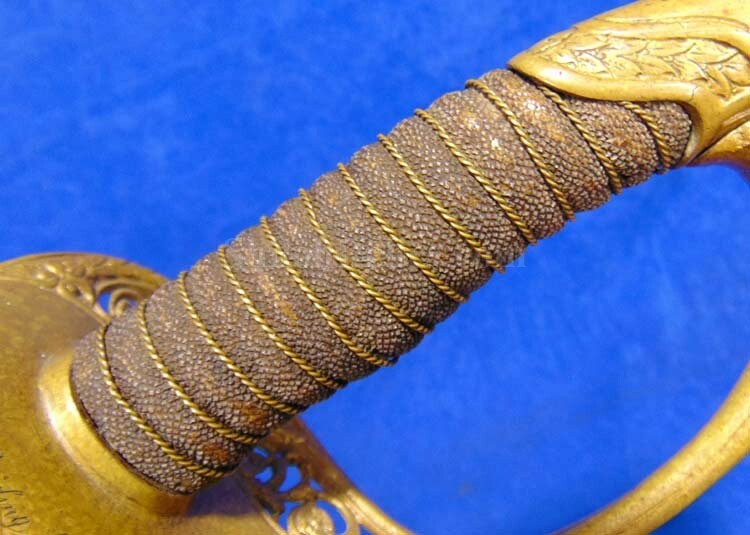 The double twist brass wire wrapping is entirely intact on the handle of the sword. 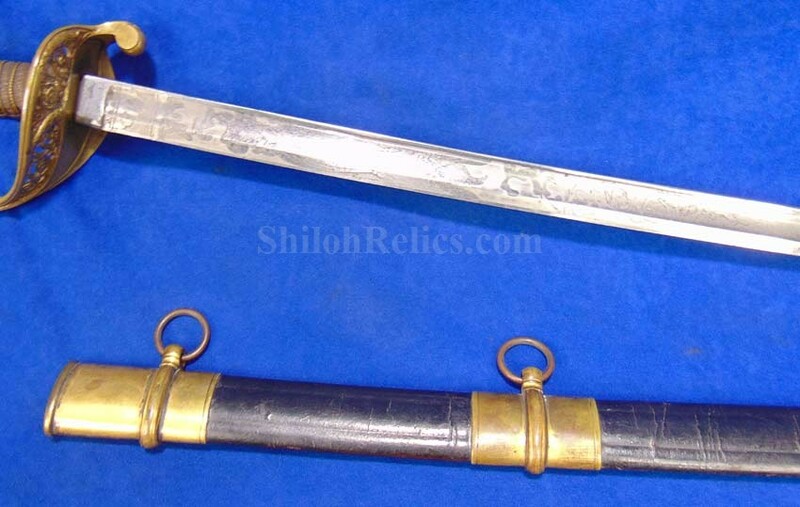 The sword is accompanied by the leather and brass scabbard. 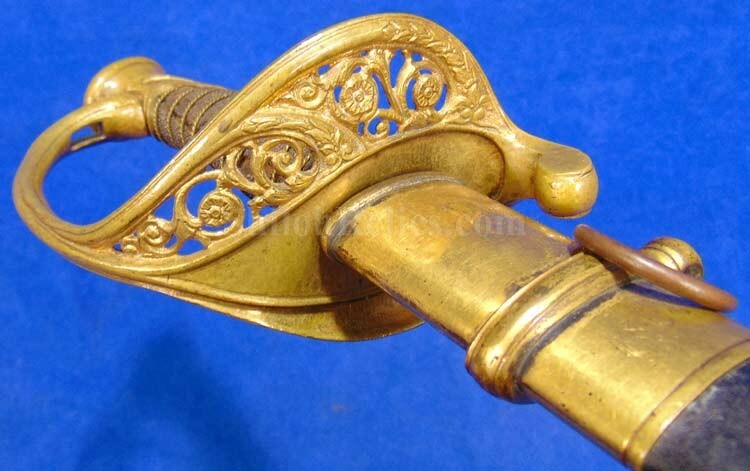 The scabbard is of fine quality construction and still retains the gold gilding. 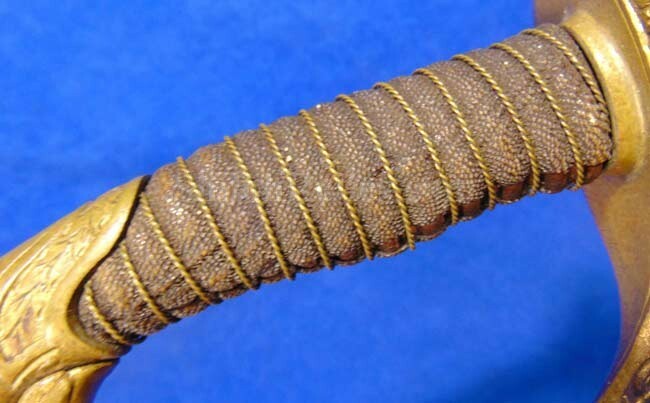 There is a repair to the leather just a few inches above the brass drag. 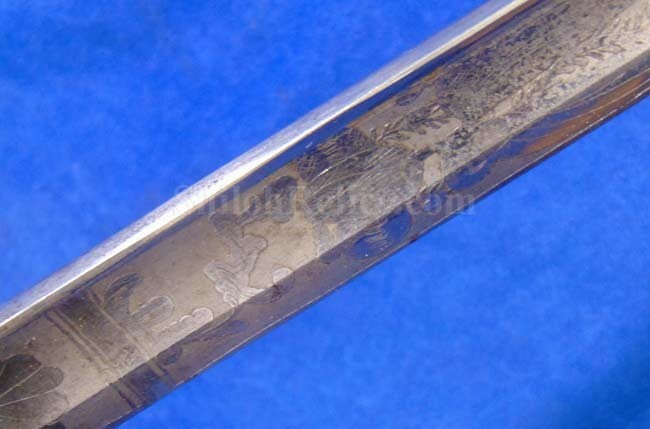 What makes this sword very special is the inscription on the grip side of the back of the handguard. It has the jeweler quality inscription that reads "To. 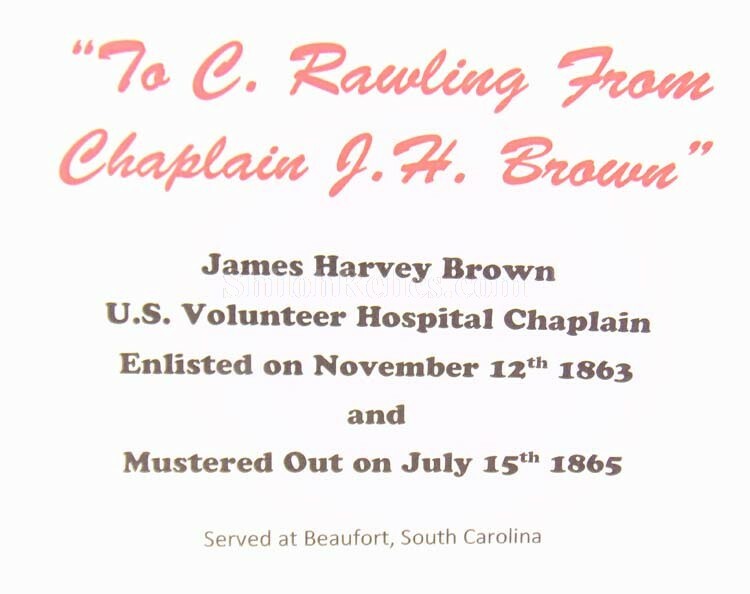 C. Rawling From Chaplain J.H. Brown". 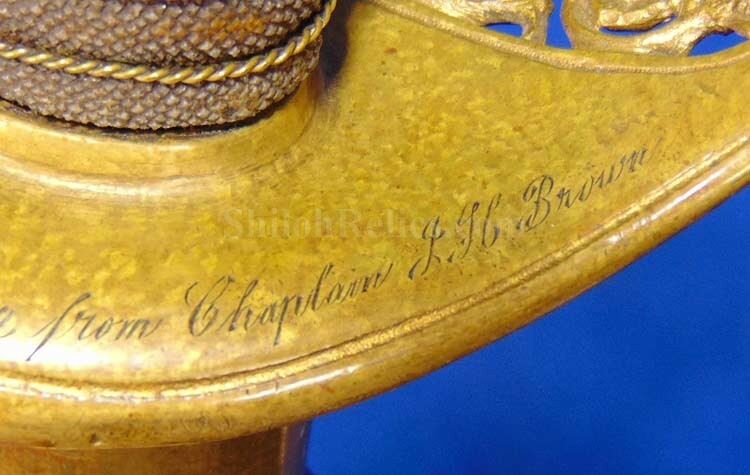 As you can image, Chaplains didn't give away many weapons. This is the first one I have had in my 28+ years int he business. 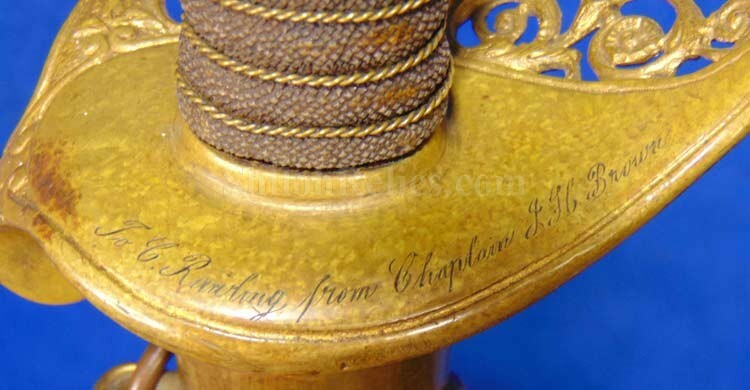 Information on Civil War Chaplains isn't an easy thing to find so it needs more research. What I have found is that he was a Methodist. He served in at least Beaufort, South Carolina. He Enlisted on November 12th 1863 and mustered out on July 15th 1865. He was a U.S. Volunteer Hospital Chaplain. There is one of his quotes that I found that proudly states he had "...good reason to believe that under the influence of Divine Services and social meetings a number (of patients) have greatly improved their Spiritual conditions." 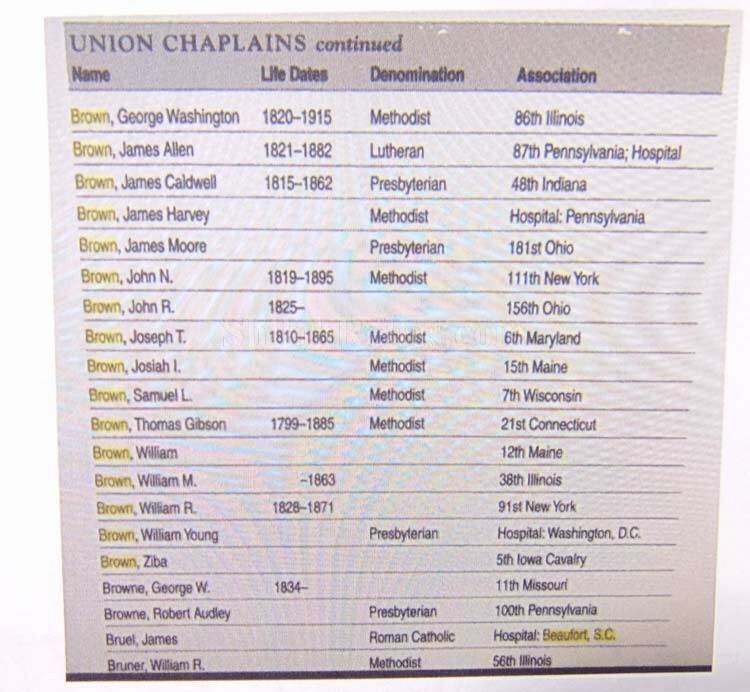 A couple of printouts about Chaplain Brown will accompany the piece. 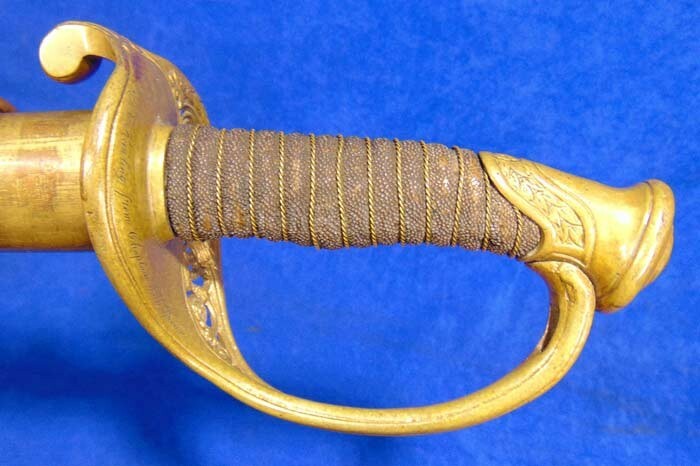 This is a great looking original Civil War foot officer's pattern sword that has a very cool history that deserves much more research.